Chinese compounder Xinda Group has been given a hefty sum of RMB45 million from the China’s Ministry of Science, over four years, to pioneer research in the 3D/additive manufacturing sector. “Xinda will lead the project and will conduct research in processing equipment and materials,” said Charles Wang, Managing Director, speaking to PRA at K2016. “We will also collaborate with industry institutes as well as the University of China Academy of Science and participants from many industries,” Wang added, explaining that the research is targeted at processing equipment/materials for applications in aerospace and electrical/electronics. Xinda will also set up a global R&D centre based in Shanghai, which will be opened in 2017. Xinda started global production four years ago when it built a manufacturing site in Dubai with a capacity of 50 kilotonnes to serve its international customers in Russia and Middle East. 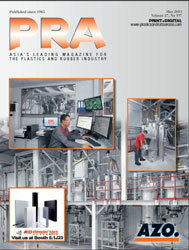 Founded in 1985, Xinda supplies materials to the automotive industry, such as PA66, PA6, POM, ABS, PP0, PPS and PEEK. It was the first Chinese plastics composites manufacturer to be listed on NASDAQ. In 2011, the company built its national technology centre, certified jointly by five government ministries. Wang also said that the company’s performance increased sharply this year because of the increase in sales for the automotive sector. It recorded sales of US$270 million in the second quarter of this year, a 30% increase compared to the same period last year. “The trend will continue in Q4 this year and we project sales of US$1.2 billion for the whole year,” he added. Xinda’s head office is based in Beijing, China, with other offices and manufacturing sites located across the world. The company’s five production sites cover a total of 600,000 sq m, and house approximately more than 200 production lines, with a capacity of 700,000 tonnes/year. 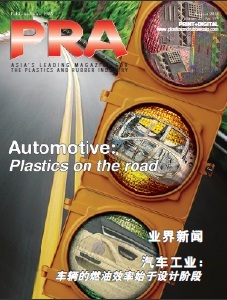 Though Xinda has been ranked China’s number one automotive polymer supplier for the past five years, it has other plans for the future. Wang says Xinda will target the production of biodegradable materials like PLA. “We believe it is not just a trend but important to preserving the planet. In five years, biodegradable materials will be one of the pillars of the company’s products and we will sell to the global market, too,” he concluded.